"I prefer superficiality … to the serious avant-garde." 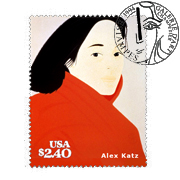 Alex Katz was born in New York in 1927. He studied art at Cooper Union of New York from 1946 – 1949, then at the Skowhegan School of Painting and Sculpture in Maine. His first exhibition was organized in 1954. 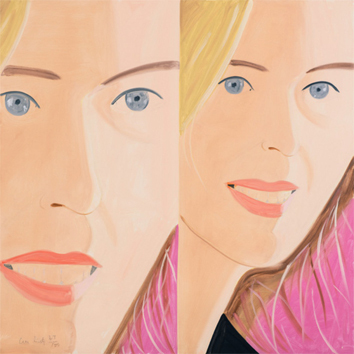 He is considered as one of the precursors of Pop Art. 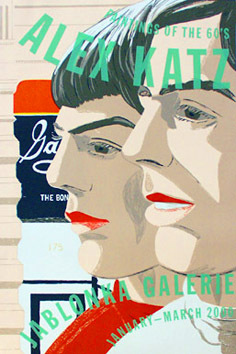 From this time, Alex Katz is distinguished from the abstract expressionists by painting large scale figurative paintings. He approaches painting like Rauschenberg or Warhol, with the fragmentation and repetition of motifs. The artist paints essentially portraits of models. He first makes a draft of the picture, then reworking it before enlarging it on the canvas. He makes portraits of New York intelligentsia or put himself in self portraits. He paints, without a break, the charm his subjects, their worries, their mysterious looks. His personage are often detached from their backgrounds which are at times abstract and very colorful. 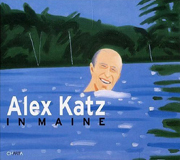 Alex Katz is attune with fashion, and details of fashion (hairstyles, clothing, motifs, etc.) as are the symbols of his era. The artist also paints landscapes, flowers and seascapes. He will collaborate with different shows of the choreograph Paul Taylor. At the beginning of the 70’s, his art will be co-opted at the same time by the public and the critics who admire his clean, articulated compositons of brillant color of flat tint on polished surfaces as one is left to be seduced by the numerous possilbe significations hidden in these images. In the 80’s, Katz synthesizes, with irony, the joy of living a decade marked by the pleasure and by insouciance. 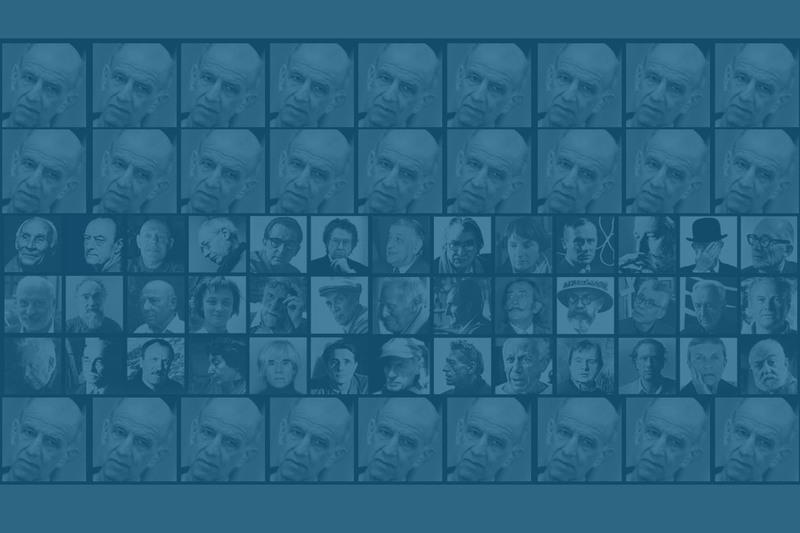 Alex Katz lives and works in New York.